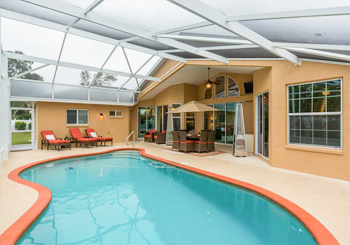 Nature Coast Aluminum Products, Inc. | Hernando and Citrus County Aluminum, Screen Room Enclosures, Pool Enclosures, Acrylic & Vinyl Enclosures. Welcome to Nature Coast Aluminum Products, Inc. your one source for all of your aluminum needs. Nature Coast Aluminum Products, Inc. owner and operator James D. (Jim) Nicolini of Weeki Wachee, Florida has built a reputation as one of the best in the aluminum industry with over 30 years of experience installing aluminum products in local communities for residential homes and commercial businesses in Hernando and Citrus County Florida. 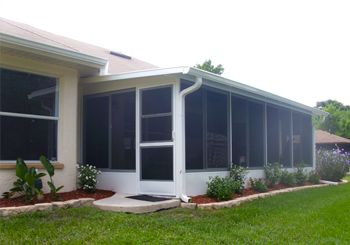 Nature Coast Aluminum Products specializes in the following Aluminum Products & Services. 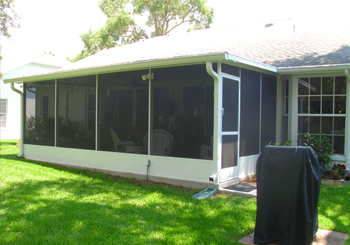 by Steve Wagner on Nature Coast Aluminum Products, Inc.
We have had a lot of work done by Jim and crew over the past several months: screened in entranceway, gutters and downspouts all around the house and just completed a new 12' x 28.5' screened in lanai extension on the back of our home. 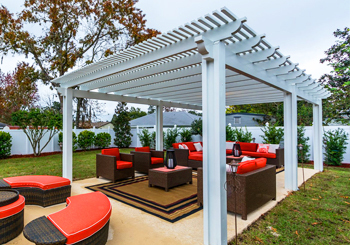 The work was done expertly by Jim's crew and subcontractors and we are extremely pleased with all of the results. Fair pricing, open communication with Jim about everything from start to finish and high quality materials and workmanship......yes, a definite 5 star recommendation! We are happy to have anyone in Sterling Hill come by to see the work that has been done and freely recommend Nature Coast Aluminum Products....Jim and crew...a pleasure to work with! by Donald & Patty O'Toole on Nature Coast Aluminum Products, Inc. Fantastic job on our pool screen enclosure Jason, Brian and crew were spot on. Quality and workmanship second to none. The area was left cleaner then when they started. In a word perfection.